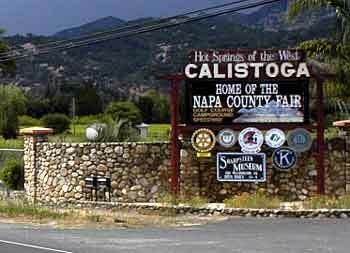 Nancy Kelsey arrived in California in 1841 with the Bidwell-Bartleson party and settled with her family south of present-day Calistoga. Now the hearthstone is all that can be seen of the house. The property is owned by the Rockstrohs. Under a lowering sky, we tramped through the summer-dried grass near the intersection of State Highway 29 and Diamond Mountain Road but found no surviving trace of the Kelsey House or of the plaque itself.